Punters can easily sign up for a VBet account by going to the company's website. At the top of the main page, punters will find the ‘open account' tab. Once clicking on the tab, new customers will be prompted to enter an email address and to create a password. After filling in the required information, users can click next to move to the next page. On the second page, new customers will be able to put in their personal details. Punters will also be prompted to create a security question and they can insert a promo code as well. Once this is filled in, punters can click the ‘register' button and finalize their account creation. New customers will now be able to fund their new VBet account. Once the account is funded, punters can begin wagering on sports, live casino, casino, poker, or virtual sports. A VBet account becomes active once a gambler funds the account. After winning money, players can withdraw the funds to their personal bank accounts or other account destinations. They will need to complete a verification process to receive the money. Punters must simply provide a scanned copy of a driver's license, passport, or ID card to receive the withdrawal. Since VBet offers a variety of ways to bet money, there are a number of bonuses and promotions customers can receive. The VBet sportsbook offers a reward points system for punters who refer their friends. Punters can receive $20 to wager when they refer a friend to the website. New customers to VBet can get a 100 percent deposit bonus when they make their first deposit. Punters can receive up to £25. VBet's poker section allows players to win a massive €4,000 a day. The big tournaments run Monday through Saturday. Players can buy into the tournament for €38 and win a whopping €4,000. Slots players can get 10 percent cashback bonuses when playing VBet's slot games. Players can also win up to 100 free spins on selected slots games. In terms of bonuses, the only real significant bonus VBet offers is the new customer deal. New customers who deposit between €5 and €100 will get a 100 percent bonus. The bonus can be used to wager on all sports except for tennis. Punters have 15 days to use their bonus or it will become invalid. Punters mustn't deposit their funds with Skrill, Neteller, Paysafe, or Eco Payz when funding their VBet accounts if they want to receive the sign-up bonus. 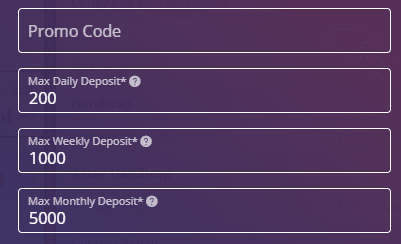 These deposit types do not allow punters to receive the bonus. This leaves Visa and Mastercard as the only two ways to fund an account to receive the welcome bonus. Punters can get €20 free when signing up a friend by contacting [email protected]. Customers must write the name and user ID of the player they helped register along with their own. Punters must also make a €20 deposit into their account. Punters will then receive €10 and their referred friend will receive €10 for signing up. Once the €10 free bet is activated, the following conditions apply. Q: Is VBet's customer service easy to contact? A: VBet's customer service can be contacted via live chat, email, and phone. The quickest way to reach customer service is to contact the website via live chat. Q: What bet of types does VBet offer? A: VBet offers a variety of bets for users to enjoy. Sports bettors can wager a single bet on an event. Bettors can make accumulators as well. These are called ‘express', ‘system', and ‘chain' bets on the VBet website. Q: Does VBet offer horse racing in the sportsbook? A: Yes, VBet offers horse racing to punters. There are a number of markets the website offers in terms of sports including football, American football, eSports, and more. Q: What kind of virtual sports can I play at VBet? A: There are seven dedicated virtual sports punters can play at VBet. Gamblers can wager on virtual football, virtual greyhounds, virtual horse racing, virtual tennis, virtual car racing, virtual bicycle racing, and penalty kicks. Q: Can I stream live sports via the VBet website? A: As of now, VBet does not offer this feature to customers. VBet does offer in-play betting and customers can follow the games they bet on through the feature. The various gambling sections on the VBet website offer a variety of promotions for existing players. The sportsbook provides existing customers with the Counter Offer promotion. The promotion allows bettors to increase the odds of their bets and the prize winnings. The promotion can be made pre-match on single bets. VBet's Express Insurance gives punters the chance to receive a refund of 100 percent on their six-fold accumulator. If one outcome doesn't work out, players will get their money back in the form of a free bet. Punters can also get promotions in the casino in the form of free spins for specified games. Players can win up to 100 free spins on Gonzo's Quest each day. Slots players can also get 10 percent cashback when playing slots at VBet. Not only can existing customers receive selected promotions, but VBet hosts daily and weekly casino tournaments. The tournaments give users the chance to win thousands of euros when playing. The VBet website can be confusing on first visit. The website is full of games, offers, and destinations. Once a player picks their destination, things get a little easier to navigate. The VBet website does leave a little to be desired when it comes to the platform, however. For example, the sportsbook isn't the easiest page to read when it first opens. VBet tries to cram a lot into a little space. Less is often more and the amount of information VBet offers can overload the senses. The website doesn't really stand out at all. Yet, most first-time users will feel confused when trying to navigate the platform. The sports available to punters on the VBet website are extensive. Everything a sports gambler could want is available. Football and ice hockey are two of the website's most popular sports. There is a large amount of markets for each sport. VBet also offers eSports to wager on. Football, ice hockey, and boxing tend to have the highest odds on the VBet website. Punters can wager as low as €0.10 on an event. Although returns won't be high, the low minimums allow casual players of all types to wager on sports. VBet makes it possible for customers to contact it through email message, phone, and live chat. According to experienced VBet users, customer service is one of the biggest strengths of the website. The casino is filled with games, slots, and poker for punters to play. There is also a live casino that can be accessed by players in some countries. The live casino is not available in all countries, however. There are five ways VBet customers can deposit money into their accounts. Visa and Mastercard are the two most popular ways to deposit funds into a VBet account. The website also takes Skrill, Neteller, and Eco Payz. Interestingly, PayPal and Bitcoin have been excluded by VBet. Both payment types are popular with bettors and the lack of both could prevent some customers from joining. The minimum deposit is €5. Punters can withdraw their winnings via the same five deposit methods. Gamblers can withdraw cash into their Visa or Mastercard accounts. This will take one to three days for the money to reach a customer's account. For faster withdraws, punters can use Skrill, Neteller, or Eco Payz. It takes just 24 hours for funds to reach these accounts. There is no minimum withdrawal amount. Customers can contract VBet in three ways. The quickest is the live chat feature on the VBet website. Punters can also contact VBet via its email and telephone. Bettors can wager on their favorite sports when away from home by using the VBet app, about the be launched. The app is quite simple looking and lacks the clutter of the VBet website. The app has the same great features as the website. Players can use the in-play betting feature. The odds and markets on the app are the exact same as on the website. Punters won't miss out on anything while away from their computer. The VBet mobile site is very similar to the website's downloadable app. Gamblers will find the same in-play features and great markets through the mobile site. The mobile site is actually easier to read and navigate than the full website. Punters will immediately be taken to the home page with a list of sports to bet on. Across the top of the mobile site bettors will find other destinations available including poker and casino. It is a handy mobile website that many punters may choose to use rather than the full site. VBet may not be a website many punters are familiar with. Much of VBet's obscurity comes from the fact the company is Armenian. It doesn't advertise on the major sports channels in the United Kingdom nor will gamblers find it sponsoring events in most of Europe. However, VBet is an up and coming website that offers a sportsbook, casino, live casino, poker, and virtual sports to gamblers. Punters can find a lot to wager on when playing at VBet. Despite the abundance of games to play, VBet is still a relative unknown. Even punters in Europe may not be very aware of the website. VBet has been in business for more than a decade. 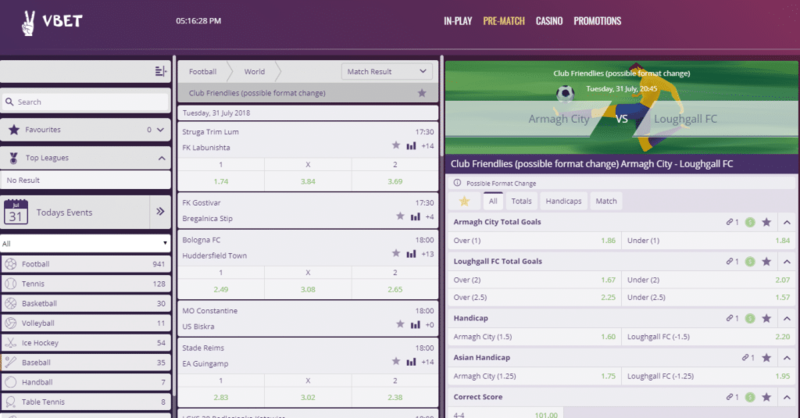 It has grown from brick and mortar shops in Armenia into a website that could challenge the big, established online betting sites on the Internet. With the Armenian betting market secured, VBet is focusing on growing outside of the country and into the rest of Europe. VBet doesn't revolutionize sports betting. Nor is its promotions and bonuses really exciting. Will it sway customers of the United Kingdom's and Europe's biggest betting websites to open accounts with VBet? It is doubtful. While some may say VBet's website layout breaks the mould and differentiates it from other bet sites, it leaves a lot to be desired. It is difficult to read and it isn't as smooth to navigate as others. While there are things not to like about the website, VBet does offer a large number of great sports to wager on. Each has a number of great markets and the odds for football and ice hockey are something to set it apart from competitors. There is also the chance to play casino games, poker, and virtual sports. The bonuses and promotions will be a sticking point with many potential customers. The welcome bonuses are okay, but could be a bit better. Hopefully, using the promo code will ensure you get the top welcome offer. In addition, existing customers may find the lack of promotions a reason not to keep wagering. Even the refer a friend promo seems a bit bland and punters don't really get much for what they spend. If punters can look past the promotions, bonuses, and website layout, they will uncover a wealth of sports and markets to wager on. However, getting past those negatives may be difficult.